Even the most complex and convoluted air emissions scenario can be easily and rapidly managed through ERA’s environmental management software. ERA software is used across every industry to measure and report VOC, HAP (Hazardous Air Pollutants), VHAP, GHG (greenhouse gases), criteria pollutants, NOx, SOx, PM, carbon footprint, speciated chemicals and other fugitive emissions to the exact degree. ERA provides a fully automated system for tracking materials, production, usages, hours of operation, and emissions – reducing manual data entry to a minimum and streamlining all reporting. Save over 80% on the time you spend tracking and reporting your air emissions. 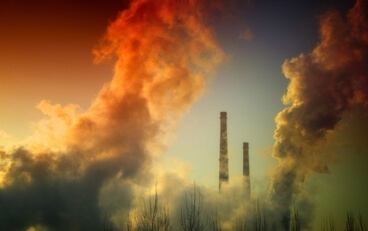 ERA’s environmental air software provides a powerful return on investment for any enterprise that has to report stack emissions to its stakeholders or regulators. Accuracy is paramount in air emissions reporting. ERA ensures that your data is carefully maintained and protected at every moment of collection, processing, and reporting using our precise scientific approach. Accuracy in Actual Emissions – ERA’s software will calculate and generate accurate reports based on your facilities’ day-to-day activity, using an exact virtual model of your process and materials. This meticulousness produces the most accurate reports and KPIs, allowing you to measure and improve compliance. Chemical Tracking Functionality – Analyze the mass balance of over every chemical used in your processes, ensuring all substances are covered in your environmental compliance reports. ERA clients gain access to a master chemical list, with over 100,000 chemicals and totally up-to-date regulatory information, to help with accurate reporting. Fully Comprehensive, Automated Reporting – Utilize the massive range of ERA’s pre-loaded reports (400+) to completely cover any possible reporting need. Pre-populated in the formats required by regulatory bodies such as the EPA and state environmental agencies, these are kept fully updated. Reports are easy to customize, enabling you to get the business intelligence and KPIs you want. A Proven Mass-Balance Method – Our environmental software accurately tracks your material usages throughout your entire production process, down to the smallest detail. This Materials-Product-Source-Stack methodology does all the heavy lifting for you based on a precise virtual model that we create of your business. Any type of emission and any process or equipment set up can be tracked and managed through the ERA air reporting platform. No matter how complex your processes, control equipment, or materials are, our software will generate accurate reports speciated to the smallest detail. No two companies are the same, so ERA takes care to carefully map out each of your unique processes. Full suite of process tracking tools – No matter what you’re manufacturing or producing, or which materials you use, your compliance is ensured with ERA. You’ll get access to a suite of emission tracking tools for any process and the ERA Master Chemical List provides full regulatory coverage for any material. Integration with Continuous Monitoring Systems – All compliance reports are fully integrated with the results of any continuous emissions monitoring system, making the most of your systems and providing the most accurate reports possible. Direct data imports from your vendors – Get detailed chemical and material data direct from your vendors and supply chain via a secure digital file transfer. This ensures that your data is as accurate and untouched as possible, free from manual data entry errors. Report on any emission – Over 300 built-in reports that detail all of your HAPs, VOCs, VHAPs, Greenhouse gases, Ozone, Pb, PM 10 and 2.5, NOx, SOx, CO, and other criteria pollutants. Streamlined air data management reduces time by 80%. Emissions forecasting helps your enterprise grow sustainably and safely. Full integration with Continuous Monitoring Systems.